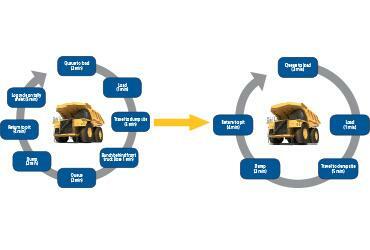 Counting and recording dump truck cycles is a tedious and error-prone exercise that few operators enjoy. Fleet managers also welcome any steps that remove workload from haul truck operators that allow them to focus on safe and productive material movement. For data-entry operators, the interpretation and alignment of paper-based tally sheets can be a complex and frustrating activity. So the arrival of the new Loadrite H2250 haul truck monitor from Trimble, signals a welcome relief from these issues. Using the H2250, all your haul truck productivity data is automated, saving you time and frustration from tabulating load sheets and replacing it with accurate production figures presented in clear graphical electronic reports. The H2250 provides near real-time reporting of haul truck production and process monitoring, driving increased production and limiting costs. 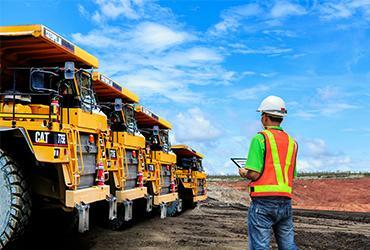 Using data from the H2250, fleet managers are able to empower haul truck operators to perform. Having a measurement and automation tool in the cab helps minimise interaction between drivers and loading tool operators, eliminating the need for paper-based load counting by haul truck drivers. The real-time data and analytics tools are often mounted on screens in staff break rooms or in the quarry office to provide clear feedback tools to help maximise the utilisation of the haul fleet and implement cost saving process improvements. 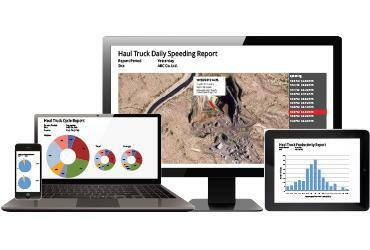 Having the right data during the shift on your PC or mobile device helps managers make informed decisions around haul truck process improvements. Managers and operators are able to lower transport costs by optimising payload, reducing cycle and idle times, and supporting safe operation of haul trucks. 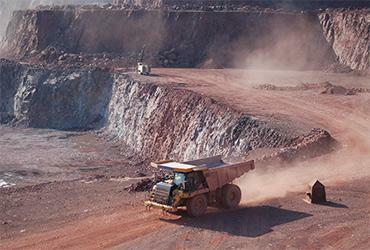 With measurement and visibility of the entire haul truck cycle, managers can quickly dissect haul truck activity, loading time, haul time, and queuing time. The H2250 reports help to show machinery availability and allow fleet managers to make improvements that affect production during the shift. 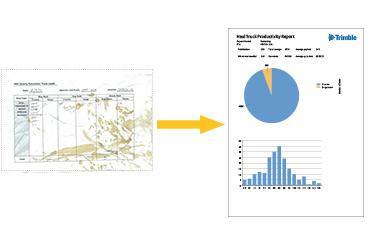 Replacing tally sheets and production estimates with an H2250 provides accurate production figures, but because the system creates accurate graphs that are easy to understand, it is easier to share these with staff to build awareness. These reports highlight material movement issues including poor haul road construction and inefficient product movements. Feedback from initial customers using the H2250 show a dramatic decrease in speeding events, with one quarry seeing speeding events drop to near zero after only a few weeks. When speeding reports were presented as a live feed in the break room, the culture among drivers changed toward an attitude of self-monitoring as fellow drivers could see the impact of these speeding events on overall cycle times.